◆ There’s only one electric-hydraulic pump to control the up&down of the platform, RSJ and pulling towers. 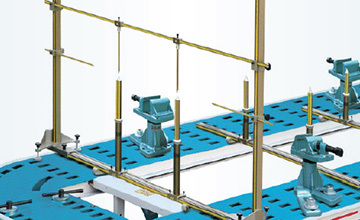 ◆ The equipment is highlighted by its rigid platform welded by milled steel boards. 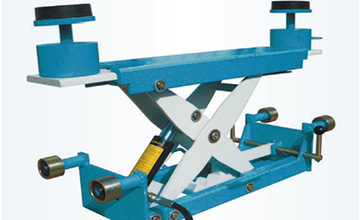 ◆ The vehicle can drive on and off the patented hydraulic tiltable platform easily. ◆ The pulling towers with patented round collar glide with ease around the entire equipment. ◆ The hydraulic system has large pulling capacity, long lifespan and low malfunction. 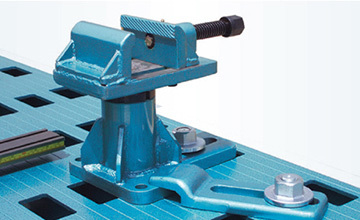 ◆ The patented Universal Clamp can anchor all kind of chassis rock-solid. ◆ The platform can work well with all kinds of measuring systems. Universal clamps can anchor the cars rock solid. 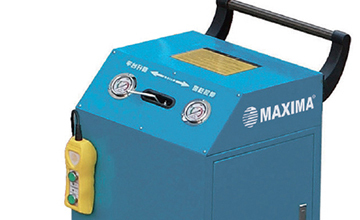 Powerful electric hydraulic pump is convenient and stable.